If you have a bow you prefer to use or learn on, bring that. Otherwise, we can provide a limited selection of traditional bows to use. 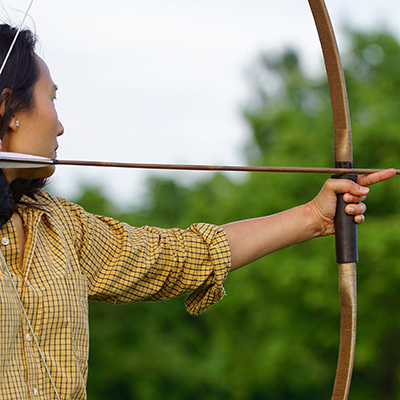 Learn the fundamentals and finesse of using a traditional bow. We’ll help you master the technique of shooting a traditional bow.